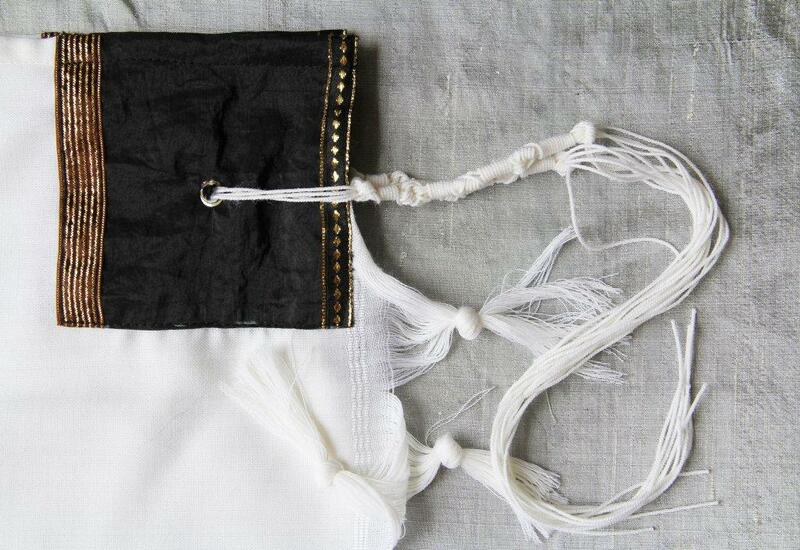 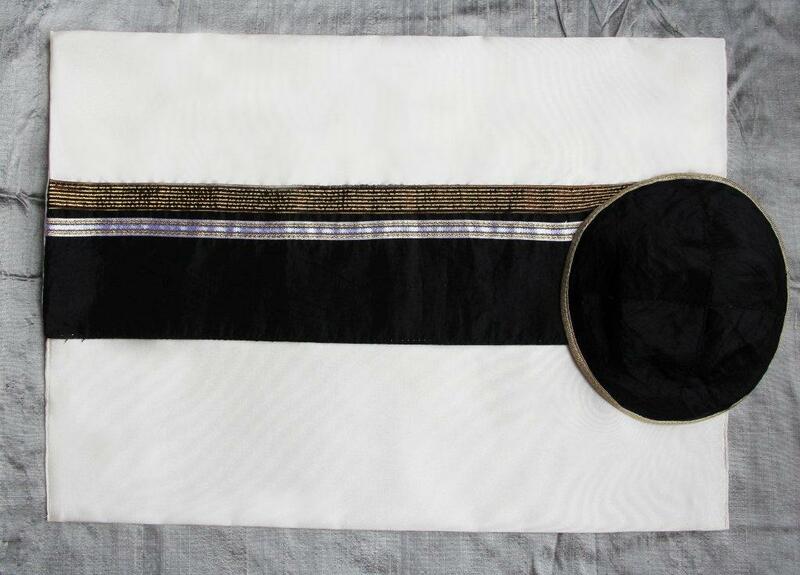 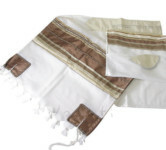 Both the design and the choice of colors are unique, making the shawl and matching kippa the perfect choice for the most sumptuous ceremonies. 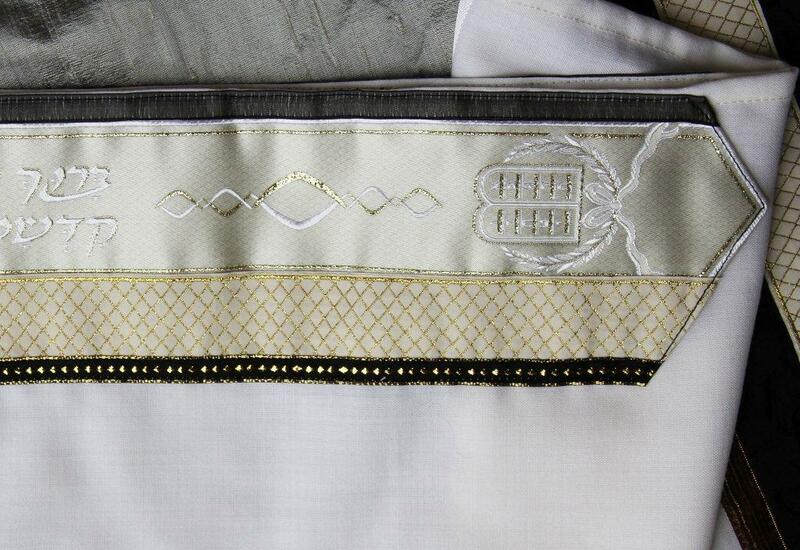 Gold is the symbol of the highest level of faith. 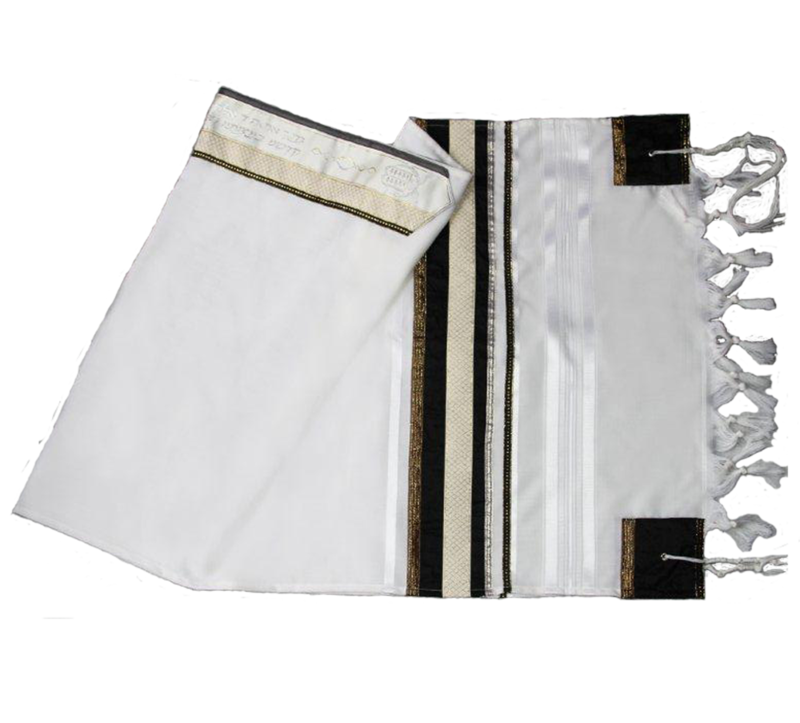 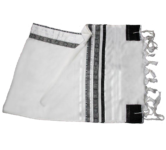 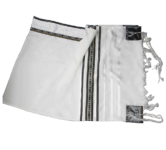 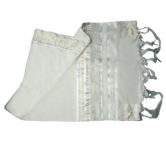 The golden lace adorns this tallit shawl in the form of a grid pattern, symbolizing the idea of faith and divinity penetrating into all aspects of everyday life. 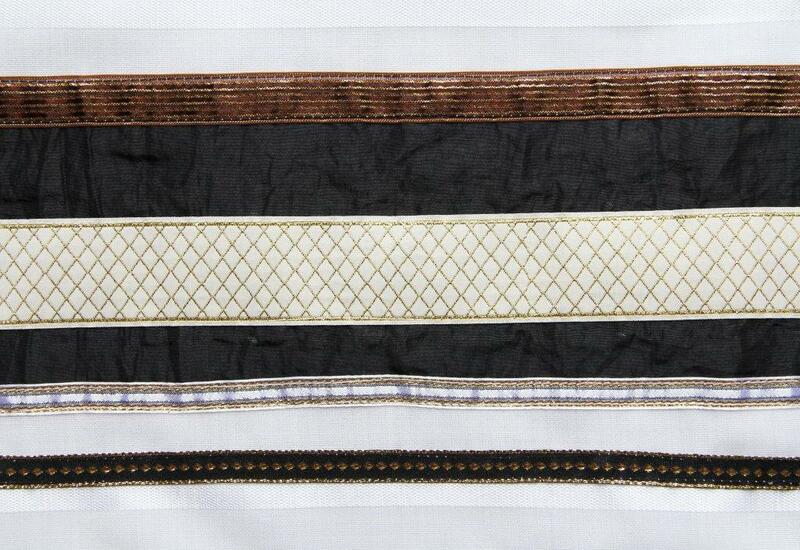 This symbolic pattern is emphasized by the bordering two charcoal grey stripes applied on a white background.